The second Major of 2016 will begin on Sunday with all eyes on Roland Garros for the next two weeks. The draw was released on Friday morning in Paris and it’s looking a little top heavy! Just to let you all know i’m going on holiday midway during the first week so I will likely disappear. 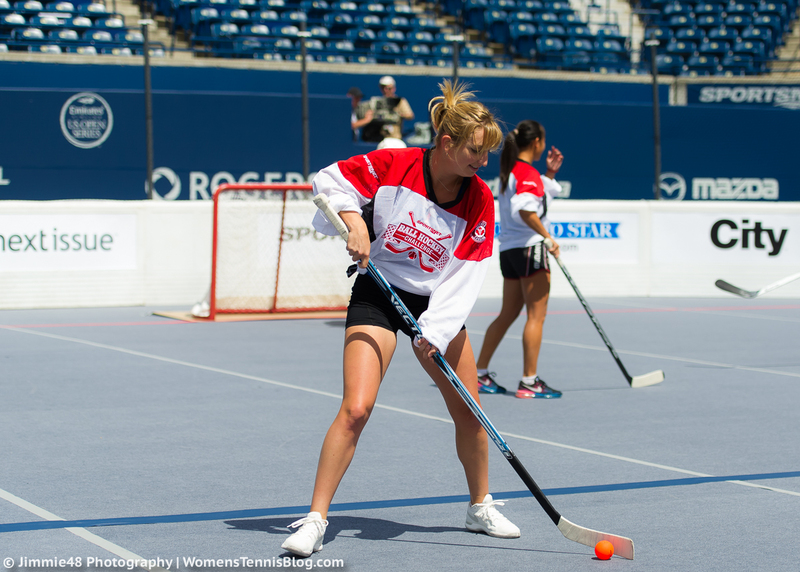 I’ll be blogging though for the first few days and have lots planned for the grass court season! This post focuses on the top 16 seeds with stats about their form on clay and at Roland Garros. I’m already reminiscing about my trip to Roland Garros last year – you can check out my posts from the 2015 French Open HERE which also includes a few tips for anyone attending for the first time this fortnight. Final thoughts: The win in Rome silences some concerns about Serena who hadn’t won a title since Cincinnati and had failed to deliver her best tennis in the two finals she had played in 2016 prior to Rome. The relief was all too evident on her face after match point and if she can carry the same mental focus into Roland Garros and not feel “stress to have to win”, then it’s hard to look past Serena. 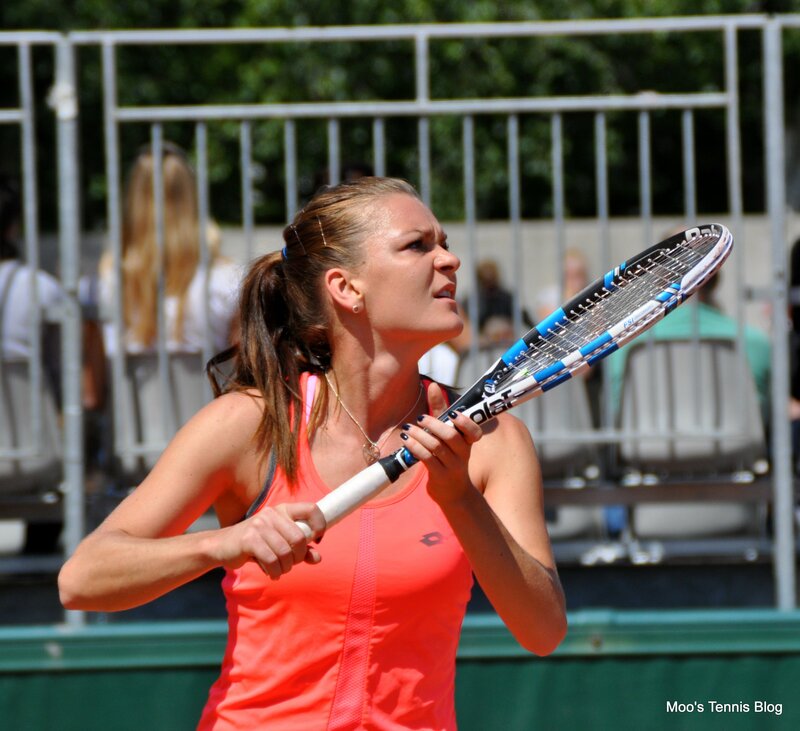 Final thoughts: Radwanska’s scheduling during this clay court season has been interesting. Her decision to skip Rome was, in my opinion, a proactive decision, which she explained in detail here. The world number two was struggling with a shoulder injury after Miami so skipping tournaments on her least favourite surface makes sense. Radwanska lost in the first round of Roland Garros last year so this tournament is still crucial to her as it offers the opportunity to add a buffer with many of her points up on the chopping board in June and July. While there are some dangerous players lurking in her section of the draw, reaching the second week looks attainable. Final thoughts: Muguruza enjoyed her best result of the year so far in Rome, reaching the semi-finals. While her form has improved since the start of the year, a straight sets loss to Madison Keys in Rome. Muguruza’s game looks pretty much there, but the results haven’t quite followed. Her result in Rome though was decent preparation; it was a significant improvement from Madrid, but there is plenty of room to improve and peak in time for Roland Garros. I’ve been waiting for that moment where Muguruza shines on the court in 2016… it wouldn’t surprise me if it all came together for the Spaniard in Paris where she has performed strongly over the past two years. Final thoughts: Azarenka’s preparations for Roland Garros haven’t been ideal although she has proven before that she is one of the best players for coming in ‘cold’ and peaking at the tournaments that really count. The Belarusian is at number two in the Race and has still lost just two matches in 2016 (to Angelique Kerber and Irina-Camelia Begu). The concern will be the back injury, but she seems to have been practising well in Paris this week. Again, clay isn’t her best surface but she’s a former semi-finalist in Roland Garros so she can perform on this surface. 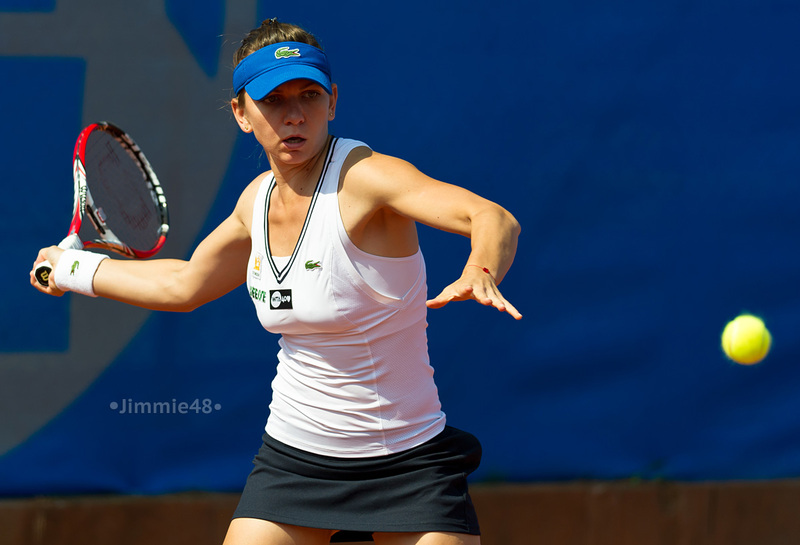 Final thoughts: The clay court season has been a trial for Vinci although in Strasbourg she did at least win her first match since Stuttgart. This has been partly down to the ankle injury, but perhaps is also linked to her gruelling start to 2016 where she did play a lot of tennis. 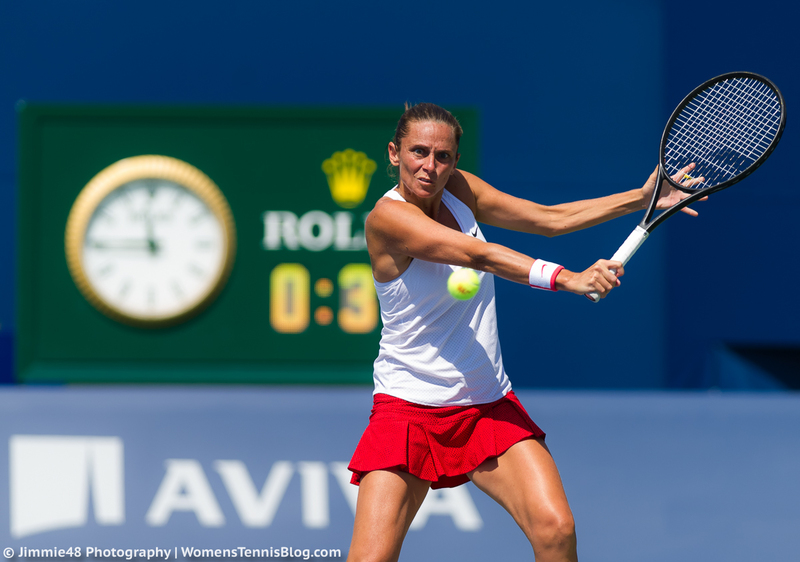 Vinci will be seeking her first win in Paris since 2013; she’ll need to show a significant improvement from recent performances just to get past the first round. Final thoughts: Bumped up to a top eight seed by virtue of Belinda Bencic’s withdrawal, things are looking rosy for Bacsinszky. Her preparations for Roland Garros have been close to perfect; she’s won the most matches on red clay among the top 16 seeds and her only two defeats have come against top ten opposition. While she has played a lot of matches, Bacsinszky will have had over a week to rest and recuperate since Rome and prepare for the big one. Bacsinszky has a really testing draw, but if she can get through the first three rounds then she may have the momentum to push on and rival last year’s performance. Final thoughts: Venus will be looking to advance past the second round of the French Open for the first time since 2010 and with this draw, there’s definitely a fair shot of that happening. I’ve always questioned why Venus continues to play the clay court season and i’d be intrigued to know whether it’s ever crossed her mind to skip it and focus on grass. To be honest, I don’t have great hopes for Venus in Paris and even more so when you consider the strapping she has had on her leg all year. Final thoughts: This year has been a topsy-turvy affair for Kvitova… there were positive signs through Indian Wells, Miami, Stuttgart and to an extent, Madrid. However, the recent losses to Daria Gavrilova and Madison Keys weren’t as encouraging. An abdominal injury came to light after she lost in Madrid and she was reportedly ill before playing Rome (see here). Kvitova’s actually had some decent results in Paris so while I wouldn’t rate her as a title contender, if her health is there, then she’s always capable of a run. Final thoughts: I’m not sure whether to be happy or fearful about Lucie returning to Paris. She is returning to the place where she recorded her best career result, reaching the singles final (and winning the doubles!) last year. This should bring the happy memories flooding back, both for Lucie and her fans. On the other hand, 1300 ranking points are on the line! Lucie’s done great to get back in contention with a title in Prague after starting her season with five straight set losses. To see where she has come from since the start of the year is staggering. I hope that she can feed on the positive energy from last year and play with freedom. 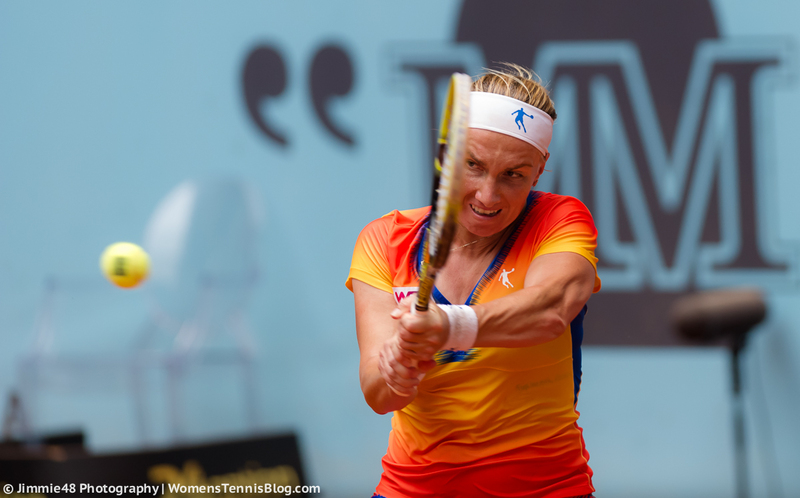 Final thoughts: Suárez Navarro’s clay court season has been solid yet unspectacular; all three of her losses have been against quality opposition, but the way she lost her last match to Timea Bacsinszky in Rome, having served for the match, wasn’t all that encouraging. There have been improvements in her mental resilience throughout the year, notably winning her first Premier title in Doha, but there are still some concerns. Clay’s obviously a great surface and the first two rounds *should* set her up well for more challenging opponents from the third round onwards. Final thoughts: I still can’t quite get my head around that Ivanovic reached the semi-finals here last year! The Serb played her best tennis of the 2015 season in Paris and the pressure to defend may well have an impact on her performances this fortnight. Ivanovic has looked fraught and tense in her matches during the clay court swing and hasn’t won back-to-back matches on tour since Dubai in February. However, the draw is actually favourable to the fourth round assuming she can overcome the dangerous Dodin in the first round. Final thoughts: Keys’s stop-start year has taken some time to get going following a number of injuries. 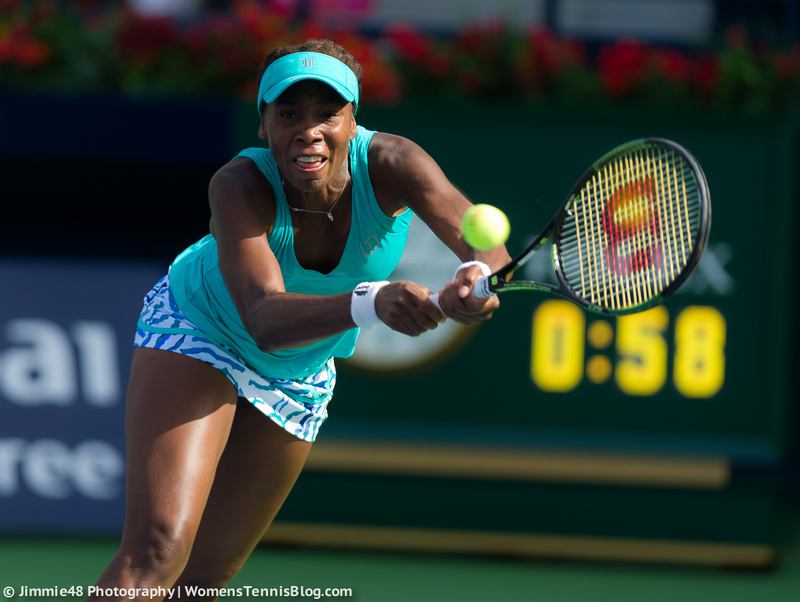 The American player has competed in six tournaments this year, the same number as Serena, yet is up to number 12 in the Race to Singapore following her run to the final in Rome. The grass court season will probably be at the forefront of her mind but perhaps the recent run in Rome will give her the confidence to dream big in Paris. If you are entered into the Tennis Draw Challenge game, remember to get your picks in by Sunday HERE! 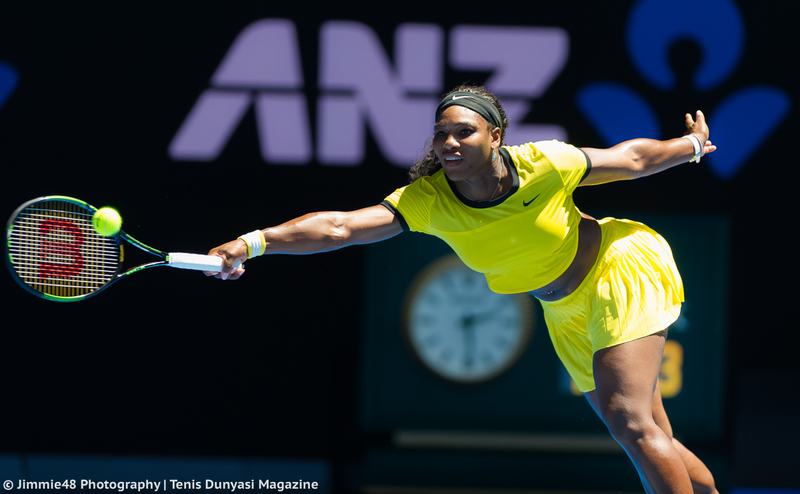 Serena definitely got herself back on the winning track at the perfect time! She really turned around the losses that she had in Melbourne, Indian Wells, and Miami this year. As for possibly facing Azarenka in the quarterfinals, I don’t know if I can see that happening. Azarenka didn’t look to be 100% healthy in Rome, when she lost to Irina-Cameila Begu in straight sets. It’ll be interesting to see if she’s 100% recovered from her back injury. My prediction at this point is that Serena will reach the final without dropping a set and win the title in three sets. Or, she will win the title without dropping a set. Radwanska had a tough draw in Australia but this ones bordering on impossible in my opinion. And Bacsinszky got a rawww deal too. I think if it wasn’t on clay then Radwanska’s draw isn’t that bad. Bacsinszky’s is rough although the qualifier in R1 could have been SO much worse! I’ve gone for Timea to reach the SFs. I think Garcia or Tsurenko makes for a very tricky round 2 match and Strycova has been pretty outstanding this year and seems ripe for taking another scalp. Watching Caroline Garcia play in Strasbourg has been a real joy, she’s delivered some superb tennis and on home soil too. If she gets the win today then I think her French Open jitters will ease off. Good to see Garcia win Strasbourg! Potentially dangerous for Aga in R2. I’ve got Aga out to Beezus in R3. Massive win for Garcia. Maybe this is FINALLY her time for that big breakthrough. She seems so much more solid mentally than the past couple of years. Also Tsurenko has a really horrible record here! I’m always going to remain wary with Garcia to be honest… But good job this week. I don’t really rate Tsurenko right now, she’s had a disappointing year and I think she’s been injured too. Oh, me too! She’s a big ball striker and that always brings inconsistencies. But she’s still only 22 at the end of the day. Also Halep drawing Lucic Baroni is hilarious. Caroline Wozniacki and Belinda Bencic are unable to play because of injury whilst Maria Sharapova ( won here in 2012 & 2014 ) is presently suspended due to a failed drug test. Simona Halep has not played consistently this year whilst Victoria Azarenka seems to be struggling with injury problems again. Agnieszka Radwanska and Petra Kvitova are probably better on grass so I think that this could be won by Serena Williams or Garbine Muguruza and I am going with Serena. Her record here is not especially good by her high standards but she has hit form at the right time and her main challengers are presently struggling with injury concerns or lack of consistent form. If there is going to be a surprise in this then maybe Sara Errani can cause it. She reached the final here in 2012 and won the biggest singles title of her career when successful at the Dubai Tennis Championships in February this year. However she has also recently suffered with an injury problem which is a concern for her chances. I agree Peter… For me, Serena and Garbiñe are my top two. So, do you think Azarenka is 100% healthy? The post said that she seems to be practicing well in Paris again. But, it’s all gonna depend on her back injury. Azarenka said in press that she had been practising pain free for the week. I have my doubts though as the forecasts in Paris look set for cold and damp conditions. Lucic Baroni and Caroline Garcia in the finals. I don’t know why I do draw challenges anymore. I look at the draw at end up with players making runs even when I know they are not going that far. Take for example I have Lisicki reaching the second week. Why I really have no idea, it’s not like she’s playing even close to good tennis. We all know that the seeds will probably fall early but I can’t ever bring myself to “predict” them. It’s hard to look past Serena and Cibulkova back to playing good tennis I have them meeting in the first quarter in the other Kerber against Bacsinszky. Even though Timea has a tough match against Genie or Siegemund. I’m not fully convinced Kerber will get that far. Bottom half seems very unpredictable I think Aga has a great draw bar the tough 2nd round with possibly Garcia. Hoping Lucie can back up 2015 and push into the QFs. Muguruza loves Paris and is due a deeper run now. And yes I think I have gone completely mad as I also have Kvitova in the quarter finals. So SFs Serena defeats Bacsinszky, Muguruza defeats Lucie and Serena wins it all. Watch all these ladies lose in the first week. Let’s hope for a great tournament! Enjoy the tennis. Lucie ended up in the semis by accident really, I think Halep may flop like usual especially since she won in Madrid. She is one player I can never trust in a draw if I’m honest. Aga has a good draw but couldn’t imagine her actually making semis or finals. Lucie has been there before and getting back to her best. Just a joy to see her winning matches again. Unfortunately her ranking could take a big hit after this tournament. Yep I’ve got my fingers crossed that Lucie can at least get through a few rounds! I don’t trust anyone in this draw to be honest. I’ve got Halep to the SFs but I’m not convinced! Yes, bearing in mind how serious her illness was (she pretty much had to learn to walk again after she’d recovered), it’s a pity Lucie couldn’t have had a protected ranking of some sort. I suspect though she’s happy to be back to more or less full strength and winning matches again, and I hope that if she does lose ranking points she’ll see it as a comparatively minor issue. Wouldn’t it be great if she made the final again though! Wherever I go where tennis is discussed, one thing that’s clear is that absolutely everyone likes Lucie; no one ever has a bad word to say about her at all. I’ve even seen Maria give her a hug at the net, something she almost never does with other players. I once read an article Lucie had written in which she said that she hated seeing people crying in the locker room after they’d lost a match and wished she could do something to change that (as she said, even great players lose early in tournaments nowadays). I wish I could find that article as I can’t remember what suggestions she made. I’d like to see Timi Bacs do well here again (she made the semis last time and could easily do so again). Garbine could reach the final but she’s too inconsistent for me to pick her to win it; she lost to Maddi (someone else who could do well here) in Rome. If not Serena, maybe it’s time Simona won a big title? She was looking very sharp in Madrid and did very little wrong in the final. 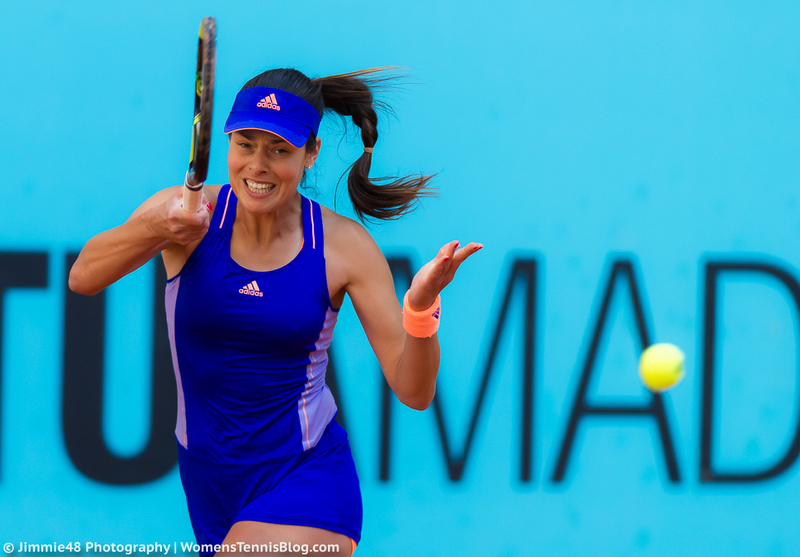 Or a long shot option; Ana Ivanovic (who made the semis last year) rediscovers the form that made her the champion in 2008 and makes the final again. I don’t think she’s in that sort of form at the moment though. Very doubtful in Serena’s quarter. And based on how negative she seems of late. I know you guys are all Lucie fans but Ana really should have made the finals last year as she was well in control of the match and Safarova didn’t do a whole lot to wrestle it away from her. In your view, what happened then that Lucie won it? I didn’t see that match so couldn’t offer an opinion. At this rate, Serena wins Grand Slam title #22 without dropping a set. Both Kerber & Azarenka lost in the first round while battling injuries, Ivanovic is iffy, Kvitova is kaflooey. With the exception of Madison Keys and her sister Venus, there’s no one out there to challenge Serena now!